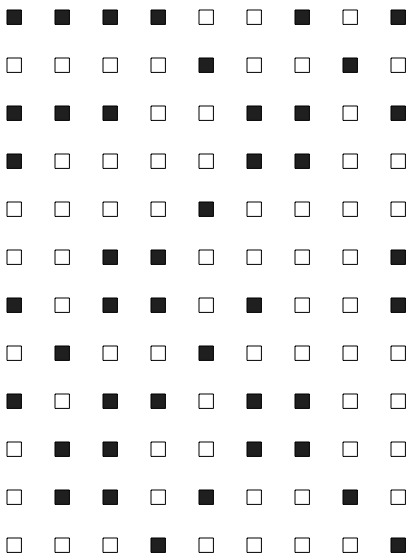 Here is a cube with nine small square patches on each of the six faces. Some of the patches on each face are covered in ink. All the faces are different. It can roll both left and right and up and down. the route that the cube has taken. All the faces might not have been used for this example. Here is a printable version of the marks left by the cube. 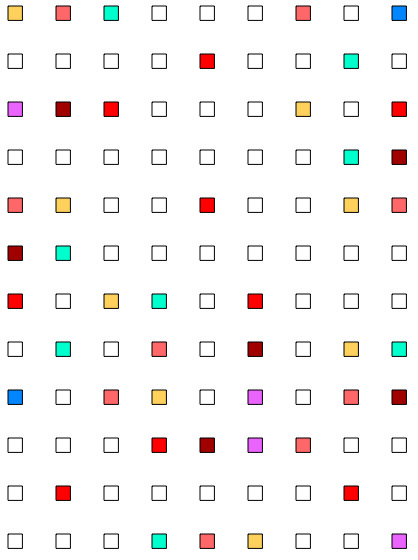 Next, you might like to try this colour version where you have to find the colours for each patch on each of the faces of the cube, as well as the route it took. 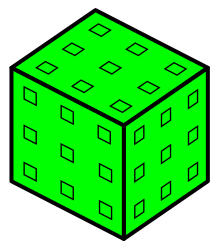 Here is a printable version of the marks left by this coloured cube. Addition & subtraction. Selecting and using information. Trial and improvement. Factors and multiples. Games. Working systematically. Visualising. Route inspection problems. Interactivities. Resilient.